Fair Winds Press, 9781592337804, 208pp. 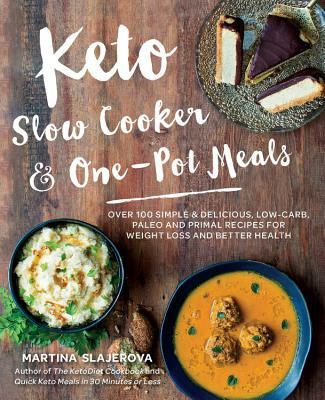 Now you can combine the convenience of slow cooker and one pot recipes with your ketogenic lifestyle! Keto Slow Cooker & One-Pot Meals allows you to enjoy your slow cooker again without sacrificing your keto diet. This unique cookbook is filled with 100 keto recipes for everything from satisfying soups to quick skillet meals and savory stews. With Keto Slow Cooker & One-Pot Meals, you'll always be able to get a healthy ketogenic meal on the table without the fuss.